BBC and the UK’s Cultural Organisations launch biggest ever joint campaign. GET CREATIVE - a year-long celebration of British arts, culture and creativity - was launched by the BBC today - in partnership with cultural movement What Next? as well as a huge range of arts, cultural and voluntary organisations across the UK. Get Creative will see the BBC work closely with an unprecedented number of external organisations including the founding champions Culture at King’s, Voluntary Arts, 64 Million Artists, Fun Palaces, Cultural Learning Alliance, and Arts Council England, as well as other organisations such as Culture 24, The Royal Shakespeare Company, the BFI, The Roundhouse, Sadler’s Wells, The Young Vic, National Theatre Wales, Arts Council Wales and many more. Get Creative aims to boost creativity in the UK, as well as celebrating the millions of people already doing something artistic and creative every day. It’s the first time amateur and professional arts organisations have come together on a national project of this scale. Celebrity friends of Get Creative include: Ade Adepitan, Alastair Campbell, Andrew Marr, Anneka Rice, Claudia Winkleman, Fearne Cotton, Frank Skinner, Johnny Vegas, Dame Judi Dench, Kate Moss, Lucy Worsley, Matt Baker, Michael Palin, Nick Grimshaw. David Lan, on behalf of What Next? says: “What Next? is a movement which has aimed to open up a conversation with the millions of people all over the UK who love and value the arts and enjoy exploring culture in the many forms it takes. Jonty Claypole, Director of Arts, BBC says: "I hope Get Creative will give millions of people the chance to discover a new passion - or to really master a talent they know they have. We’re producing all kinds of programming to inspire - starting this Sunday with The Big Painting Challenge on BBC One. Everyone can get involved. To get an idea, just go the new Get Creative site." Robin Simpson, Chief Executive, Voluntary Arts says: "The UK is an incredibly creative place: there are approximately 63,000 voluntary arts groups regularly involving ten million people across the country in creative cultural activity. For those who take part, this activity becomes an essential part of their quality of life. Expressing yourself creatively enhances your skills, understanding, confidence and wellbeing - and taking part in creative activity collectively in a group strengthens communities. But much of this local creative cultural activity is often overlooked or unnoticed. Get Creative will provide a unique opportunity to showcase and celebrate the creativity of people across the UK and to encourage more people to get creative." From a graffiti event in Cardiff and a demonstration of upcycling in Belfast to a huge ‘Paint by Numbers’ scene in Cumbria the campaign opens with a day of activities across the UK arranged by Voluntary Arts where the public can ‘get creative’ and find out more about local activities in their area, helping enrich and inspire local communities across the UK. The campaign will culminate with a finale weekend in February 2016 showcasing the creativity of the nation and reflections on the year. More details to be announced. To launch Get Creative, the BBC aims to get people talking about the role and social value of the arts in their lives; giving everyone an opportunity to get involved in a unique national conversation about arts and culture. BBC Four’s Artists’ Question Time will debate who the arts are for in the UK and who gets to play a part in them (February, tbc). Radio 4 You & Yours is asking listeners what they think of the provision of art and culture. The programme wants to hear from consumers, people who work in the creative industry and the people who fund services across the UK. BBC Radio 2 – On his afternoon show Jeremy Vine will be discussing Rembrandt’s self-portraits. Exploring how this popular painting subject offers a ‘window on the soul’ listeners will be encourage to be discuss and debate the topic. BBC Radio Wales – The Arts Show has a Get Creative special on Wednesday February 25, discussing the importance of creativity and what it means to people. BBC Local Radio Stations - What Next? is working with organisations across the country to hold a series of debates, highlights from these will be played across BBC local radio stations. What Next? North West - Tuesday 24 February, 16:00 at Royal Exchange Theatre, Manchester. Creativity Counts - a discussion about why Greater Manchester places such value on arts, culture and creativity. Covered by BBC Radio Manchester. 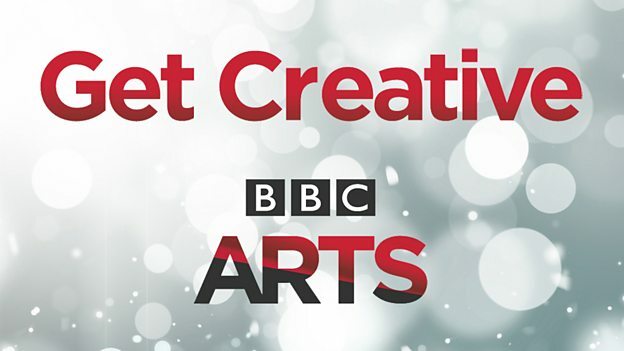 The BBC is supporting Get Creative with a bigger commitment to arts programming in prime time. Each month, there will be a Saturday night arts special on BBC Two accompanied by other content across the BBC with landmark seasons in 2015 planned on dance, film, theatre and poetry. Actress Maxine Peake, Sunday Times journalist Lynn Barber, Armando Iannucci, and Director of Tate Modern, Chris Dercon will each guest edit a new four-part series, Artsnight on BBC Two, and BBC Four is hosting Artists Question Time. The Theatre Festival include an adaptation of The Dresser on BBC Two starring Ian McKellen and Anthony Hopkins; new drama strand Dialogues on BBC Four, as well as a new scheme with the Arts Council England and the Battersea Arts Centre to explore new ways of making and broadcasting theatre on the BBC. Across the English regions we will be following 11 local theatres over the next six months as they tackle an array of challenges - on stage and off. The poetry season will include a profile of the Poet Laureate Carol Ann Duffy; a special on Edmund Spenser’s The Faerie Queene; a drama adaptation of Simon Armitage’s long poem, Black Roses and Performance Poets In Their Own Words. BBC Radio 3’s Proms Poetry Competition 2015, in association with the Poetry Society, challenges aspiring poets to write a poem inspired by the Proms. BBC Radio 6 Music will also have Spoken Word Sessions around National Poetry Day. Radio 1Xtra - with support from Radio 1 and working alongside ACE - are launching a brand new scheme to reflect and enrich the UK’s growing spoken word scene. Along with the new Young Writers Award with Radio 4 and the Reading Agency, this is a major commitment by the BBC to nurturing emerging writing talent. This autumn, BBC Four will broadcast a major documentary on land art, where members of the public will help artist Katy Paterson create a new work. Other initiatives that Get Creative will inform and inspire include: BBC Radio 2’s 500 Words, BBC Radio 5 Live’s Well Done U competition; BBC Radio 4’s Opening Lines, BBC Radio 4’s Young Writers Award and BBC Radio 6’s Art is Everywhere, BBC Introducing and WritersRoom. The Space is working with the BBC to launch new digital opportunities for people to create and share their art online and to develop ground-breaking, digital culture firsts. Visit www.thespace.org for more. • Across 2015, Call to Create – a global collective of cultural organisations, established by the Roundhouse – are celebrating young creativity in a season of multi-discipline performances, events and moments co-created by young people and established artists from around the world. People will be able to find out about Get Creative events in their region via the Get Creative website which launches today. Get Creative online will be a gateway to all the incredible initiatives happening across the UK on a daily basis. The site will host ideas and opportunities to get the nation inspired to do something creative. There will be online master classes drawn from the BBC's programmes from how to write a song and how to sew a cushion to how to draw a face, as well as links to events across the country run by the Get Creative Champions. Get Creative, led by the BBC and What Next?, came about as a result of the Warwick Commission on the Future of Cultural Value and is collaboration with Voluntary Arts, Culture at King’s, 64Million Artists, Fun Palaces, Cultural Learning Alliance and Arts Council England.